The main power and control unit for the Intercall 600 system. 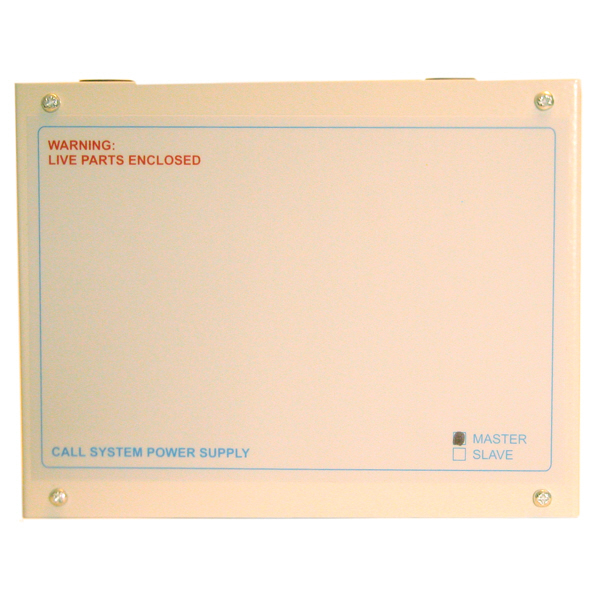 It connects to the mains supply and incorporates full battery back up to safeguard the system in the event of a mains supply failure. It also stores the text programming information and can be used to configure the system by simply connecting a laptop computer. An alternative power supply unit is required for larger installations and is designed to increase the permitted number of units and quantity of cable allowed on one system.